With pleasure, we welcome Dr. Keys to the role of Promotions and Special Projects Coordinator. Vicky is a joy to work with and such a great addition to any team in which she participates. We’re truly blessed to have Vicky at Nurses International. Dr. Vicky Keys is an advanced practice registered nurse (APRN) board certified as an Adult Health Clinical Nurse Specialist (ACNS-BC). She earned her Doctorate in Nursing Practice (DNP) through Texas Christian University, her CNS certification at University of Detroit Mercy, her MSN and BSN through University of Phoenix, and her ASN at Mohave Community College. Vicky began her career in healthcare with CNA and MA training. 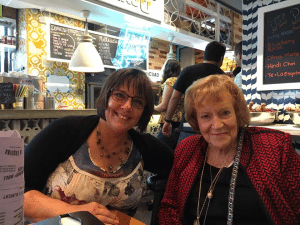 She has continued her love of life-long learning and continuing education. Her most important milestone is that of accepting Jesus as Lord and Savior in September of 1978. She has three grown children and ten amazing grandchildren. She brings 25-years nursing experience to NI that includes cardiac ICU, ER, legal nurse consulting (LNC), hospital and university-based nursing education, and nursing administration. In her role as a nurse educator, she was responsible for new hire orientation, for providing general education and training for process, equipment, and policy changes hospital-wide. As well as the development, implementation, and evaluation of new hire and ongoing competencies for CNA’s, technicians, and RN’s. Her academic history includes teaching pharmacology and adult health courses at Texas A&M’s nursing program, and the RN-BSN online program with Indiana Wesleyan University. Her role as Director of Nursing over a twelve-clinic system provided an opportunity to develop an administrative perspective. She developed a competency-based assessment program, performed a needs-based assessment and developed corresponding education, policy, and protocols. Vicky has been with NI since November 2015. She has participated in course, curriculum, proposal and presentation development for the Guatemalan and Egyptian projects, and NI respectively. She participated in the initial mission trip to assess the Guatemalan healthcare system, hospital, and nursing schools. Most recently Vicky developed the Guatemalan Impact Assessment which linked the health, education, and poverty markers from globally recognized agencies directly to performance indicators within NI’s nursing curricula, and developmental plans for faculty, staff, and students in Guatemala. Vicky’s strong suit is conceptualizing complex components, processes, and material into a succinct graphical display to enhance dissemination of complex information. She loves to mind map! Vicky also created a faith-based women’s health course that she teaches to incarcerated women through Restorative Justice Ministry in Bryan, Texas. What does the end of the National Guideline Clearinghouse (NGC) mean to nursing? 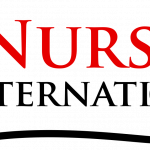 NURSES INTERNATIONAL’S FRAMEWORK FOR NURSING EDUCATION IN LOW-RESOURCE COUNTRIES.